Reliance Jio is one of the fastest 4G networks in India which offers high-speed mobile internet connection at low-cost data plans. 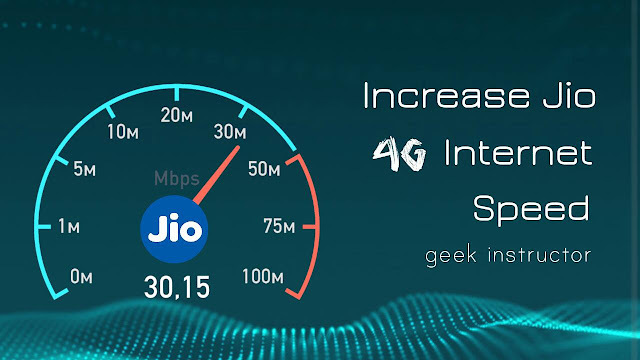 The internet speed is determined by your network provider, but there are several other factors that can affect your Jio 4G speed. The most common cause of slow internet speed is the network server load. Within a short period of time, a large number of people have joined Jio network which has affected its internet speed. Your internet speed also depends on network signals in your area and your device's configuration. 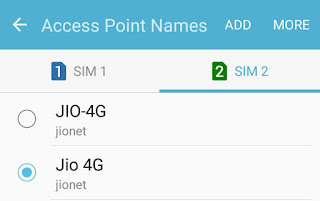 This tutorial will guide you how to boost up Jio 4G speed on your phone. Please note that there is no way to increase the internet speed provided by Jio network but we can configure our device to get the most internet speed possible. Master SIM slot has some advantages over slave SIM slot. You might have noticed that the processing of master SIM is faster when the system boots up. It's also recommended to insert Jio SIM in the master slot as it can increase your internet speed. However, there is no experimental evidence to prove this true. Most of the dual-SIM smartphones support 4G VoLTE network in the master slot only, while another slot supports 3G/2G networks. This could also be the possible reason for "No Service" Jio problem. 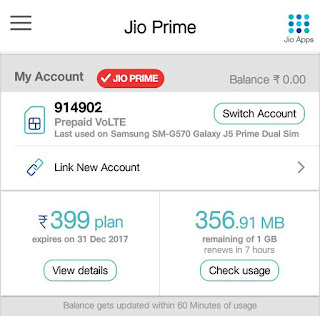 If you have inserted Jio SIM in slave slot, switch it to the master slot and let us know in the comments whether it improves the Jio 4G speed or not. When you connect to the internet, applications start working in the background to get all sorts of updates and notifications. These apps are constantly eating your internet data as well as the battery life even when they are not in use. For example, some apps will auto-update, auto-backup, and auto-sync without you noticing. First, go to Settings > Data Usage. Here you will find "Background Data" option. 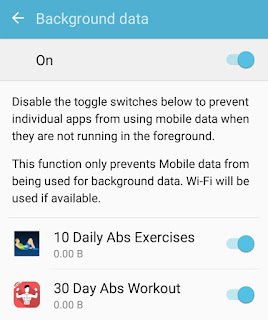 Now switch ON the toggle button at the top of the screen to restrict background data for all apps. 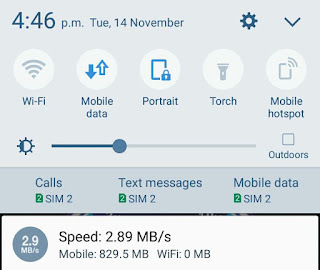 When you restrict background data, you will find some boost up in your Jio 4G speed as only the app running in the foreground will have access to the internet at a time. This will also reduce Jio 4G data usage on your phone. APN stands for Access Point Names. These are the settings that your phone reads to set up a connection to the gateway between your carrier's cellular network and the public Internet. In simple words, APN setting provides instructions to your phone to connect to the right network. Go to Settings > Mobile Networks > Access Point Names. Now select Jio 4G SIM and tap "ADD" button at the top of the screen. 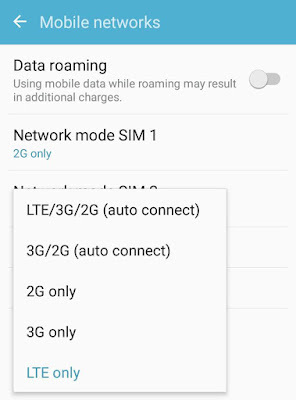 There are three network modes available: LTE, WCDMA, and GSM. WCDMA mode support 3G network, GSM support 2G, and LTE support 4G network. As Reliance Jio is a 4G network so it will work in LTE mode only. LTE stands for Long Term Evolution. Go to Settings > Mobile Networks. Tap Network Mode option for Jio SIM. Now select "LTE Only" option. If you are experiencing slow Jio 4G speed in a particular app or browser, try deleting its cached data. Although, it has nothing to do with your internet speed, clearing cached data will improve the app's performance. In case of browsers (Google Chrome, for example), when you clear browsing data (such as history, cookies, cached images & files, etc. ), you will find some boost up in your browsing speed. To delete an app's cached data, go to Settings > Applications. 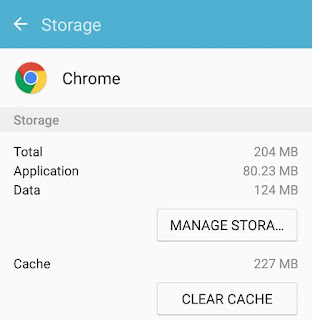 Now open the app and click "Clear data" button under storage section. Similarly, you can delete your phone's cached data from Settings > Storage. Your browsing experience doesn't depend on your internet speed independently, but it also depends on the site's performance. If any site is not performing well due to heavy traffic (or any other server related issues), it will take more time to load. You will end up blaming your internet connection for slow speed, but that's not actually true. There are few things you can do to improve your browsing experience. For example, you can use UC Browser app for fast downloading and internet surfing. UC Browser can help you save a lot of data by compressing webpages. You can also load Facebook, Twitter, Google and other sites in light-version. Open MyJio app and check your data balance under My Account section. Tap "Check usage" button to see complete data logs. As already mentioned, when a large number of people are using internet simultaneously on the same network, your internet speed will slow-down. This is what usually happens with Jio 4G network when you experience slow internet speed. If you are downloading something big in size (Movie, for example), you should download it at midnight between 11PM to 7AM. This is the best time period when Jio 4G speed is maximum. You will find your file downloaded in the morning when you wake up. Jio 4G speed can also vary from place to place depending on the network strength. More be the network strength, more will be the internet speed. Try to find out the best place in your home or office where you get the maximum internet speed. You can use speed testing apps to measure internet speed at various places. Play Store is loaded with so many third-party apps that claim to increase Jio internet speed on your phone. Internet Booster & Optimizer is one of the most popular apps in this category. This app improves internet speed by performing a series of automatized tasks which includes pausing the apps running in the background, cleaning RAM and cache memory, flushing the DNS and more. You can install Internet Booster & Optimizer app from Google Play Store for free. It works on both rooted as well as non-rooted devices. You will surely find 50% to 80% boost up in your Jio 4G speed after using this app. Keep your JioFi within a 10-meter radius of the connected device. Check the status of the network indicator on JioFi. Ensure that there is no barrier coming between the JioFi and connected device. Connect a maximum of 10 devices at a time. If you have exceeded the daily/monthly data usage limit as per your plan, your internet speed will be reduced to 128 kbps. You can check your data balance and the renewal time in MyJio app. Speaking frankly, there is no technical way to increase Jio 4G speed after crossing 1GB data usage limit. But you can apply the tricks mentioned above to get the maximum Jio speed possible out of 128 kbps. If you want to measure Jio internet speed on your phone, you can download SpeedTest by Oolka app from Play Store. This is one of the most popular speed testing apps for Android. 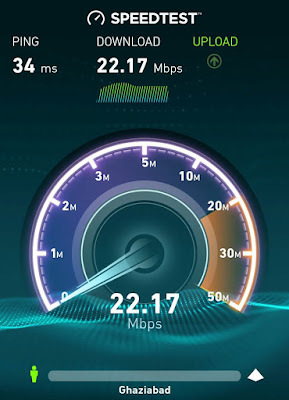 SpeedTest calculates download speed, upload speed and ping time. Internet Speed Meter Lite is another popular app that can help you to measure Jio 4G speed. When you open this app, it automatically starts working in the background. You can check real-time internet speed and data usage in the status bar and notification. We hope you've found this guide helpful to increase Jio 4G speed on your phone. If you want to ask something about this tutorial, feel free to comment below.